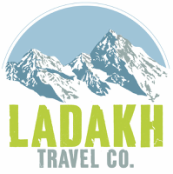 We love to personalize our Ladakh based service to help ensure that your time in our town is a unique and truly memorable experience! With our custom made packages, we take into account your specific interests, your time limits, any personal preferences that you might have and even your budget and we use our expert knowledge and experience to tailor make a travel plan that specifically meets your requirements. ​We are always available to have a chat and we are happy to offer suggestions, solutions and recommendations when you have too many ideas or even, when you simply don't know what you want! If you're interested in a tailor-made itinerary, please complete the form below and we will get straight onto planning an original idea!